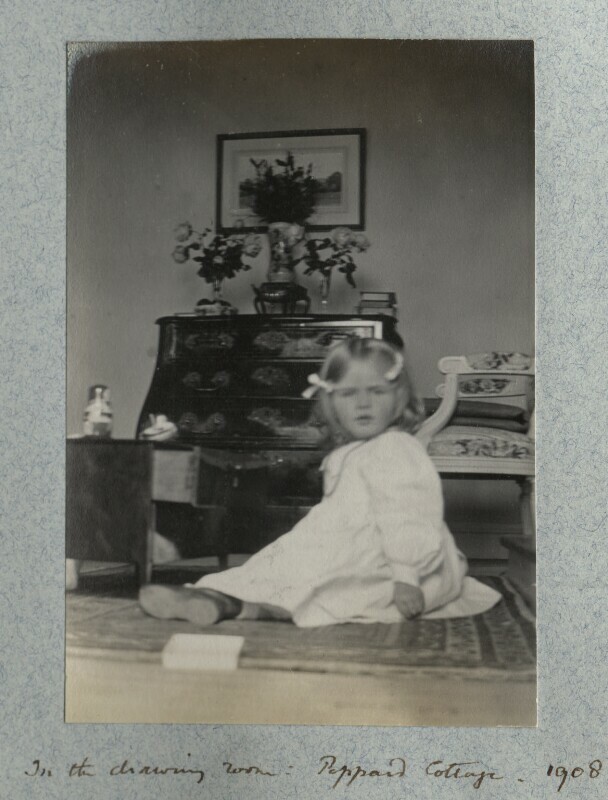 Julian Vinogradoff (née Morrell) (1906-1989), Former wife of Sir Victor Goodman, and later wife of Igor Vinogradoff; daughter of Lady Ottoline Morrell. Sitter associated with 411 portraits, Artist associated with 2 portraits. Lady Ottoline Morrell (1873-1938), Patron of the arts; half-sister of 6th Duke of Portland; wife of Philip Edward Morrell. Artist associated with 1715 portraits, Sitter associated with 596 portraits. Henry Asquith replaces Henry Campbell-Bannerman as Liberal leader and Prime Minister, with David Lloyd George taking control of the Exchequer. Asquith and Lloyd George embark on a bold programme of social reform, laying the foundations of the Welfare State, introducing government pensions this year and later a system of National Insurance. The first aeroplane for the British army is built by the American, Samuel Cody. E.M. Forster's novel A Room with a View is published, following the experiences of a young woman, Lucy Honeychurch, in the repressed culture of Edwardian England. The French art critic Louis Vauxcelles first uses the term 'cubism' to refer to a landscape painting by Georges Braque. King Carlos of Portugal and his heir, Prince Luis Filipe, are killed by assassins from the Republican trying to provoke a revolution. Carlos I, unpopular because of his extravagant lifestyle and extramarital affairs, was succeeded by his younger son, Manuel, the last monarch of the Braganza dynasty. Following the death of the Guangxu Emperor in China, his two year old nephew replaces him, becoming the the last Manchu emperor of China.